Graphic design is all about solving problems and making things functional and easy to understand, and wayfinding materials such as signs and maps aren’t the exception. In fact, they’re the rule. If the information is wrong or misunderstood, there can be deadly consequences. But not all maps are life and death. Some can be really fun while providing factual information, such as maps for parks, playgrounds, museums, and more. One company that knows how to put the fun in mapmaking is Visual Maps based in Copenhagen, Denmark. 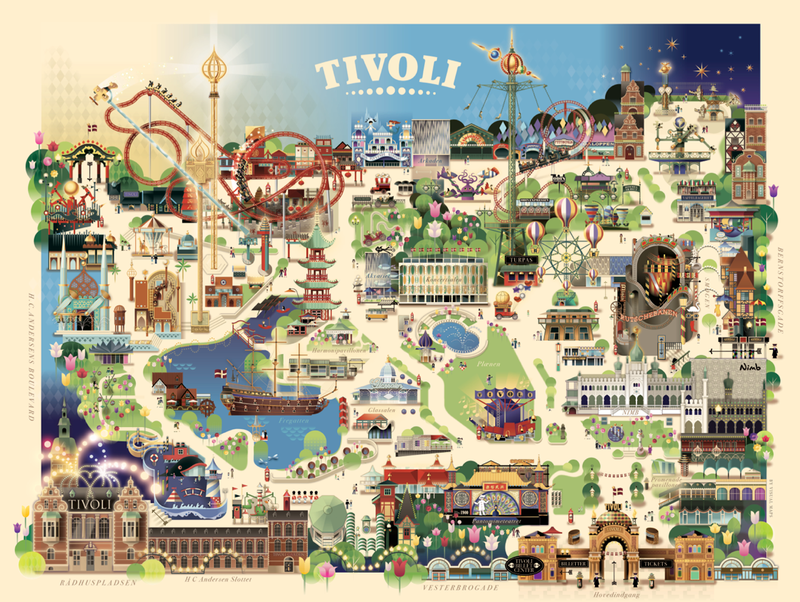 They’ve designed colorful, richly detailed maps for parks all over the globe for the past 20 years. “It started with an illustration for a DUPLO universe on a LEGO package I did, which was spotted in Legoland, which then commissioned me to do their park map,” explains founder and creative director Mads Berg. Since then, they’ve designed all the Legoland parks worldwide, and have specialized in park maps since. Here are five tips for creating successful map designs.